Dry-docking for vessels up to 3000ton lightweight, 90m LOA in Dubai Maritime City. Voyage Repairs. Riding Crews worldwide. Hull Damage repairs - minor or extensive. Deck machinery, pipe work and valve repairs/renewals. 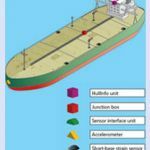 Link Instrumentation and Control Services have the privilege to “exclusively” represent some of the most prestigious companies and brands in the field of Marine Automation. Refrigeration Aircondition, Spare parts and repairs at all UAE Ports. Ship's Agents.An Agency At Your Service 24 Hours. Visit our website www.gulfagencycompany.com for more information. Insurance Lawyers FinanceELIF is specialised in admiralty and shipping law with extensive experience in claims leasing collisions mortgages and insurance. UAE was established in 2004 as a local UAE Company to conduct the business of Shipping. Main activities include: Ship broking Ship Agency Freight Forwarding (air/sea/land) Customs Clearance and Bunkering . Ship Navigation Equipments (Radars Gyro Compass GPS Navtex Inmarsat Repeaters etc.Ship Machinery & Spares for main Engines Generators Oil Purifiers Air Compressors Turbo Chargers Hydraulic Pumps & Motors etc.